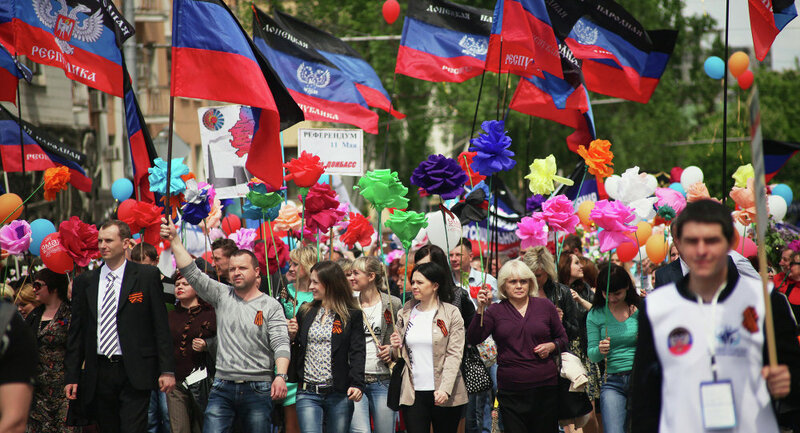 On Tuesday, the Donetsk People’s Republic (DPR) declared the establishment of the state of Malorossiya. The DPR leadership describes it as a successor state to Ukraine. “We propose to establish the state of Malorossiya. Malorossiya is an independent young state. A transition period of up to 3 years,” DPR Leader Alexander Zakharchenko said, proposing a three-year long transition period. Zakharchenko said that Ukraine is a failed state and called the international community to support the initiative. “We, the representatives of former Ukraine, declare the establishment of a new state, Malorossiya, which is a successor state to Ukraine. We agree that the new state’s name will be Malorossiya because the very name of Ukraine has discredited itself. The city of Donetsk becomes Malorossiya’s capital,” DPR Income Minister Alexander Timofeev said reading a constitution act on the formation of the new country. Malorossiya’s constitution will be approved following a referendum and will state its non-aligned status and policy toward restoring ties with Russia. “The policy aimed at joining the Union State of Russia and Belarus while preserving independence and sovereignty. The keeping of a visa-free regime in agreement with the European Union. De-oligarchisation, uncluding on a legal basis,” Timofeev declared. The declaration of the new state is another sign that the so-called Minsk agreements are collapsing and cannot solve the political, social and military tensions in eastern Ukraine. About as genuine a popular movement as we have seen in modern times, and fighting against a failed state propped up by literal neo-nazi militias and supported openly and covertly by the EU and US. No doubt the situation is being exploited by the usual suspects, but the DPR has attracted people from all over the world to defend against the squatters in Ukraine, in much the same way as those who joined the International Brigades against Franco in Spain (back in the day). Not sure about the new name though.. Yes but in 1764 Slavo-Serbia become Novorossiya. Why ? Colonized Serbs were on the end of assimilation ( same Orthodox Church , both are Slavic people then similar language, anatomy, mentality, customs...).